This description of Salem Massalha's work was prepared when Salem Massalha was elected to the Ashoka Fellowship in 2018. By leveraging the use of social media, Salem Massalha is developing tools to unite new actors to contribute to social change, and generate additional funding streams for the citizen sector. Through his agile social innovation approach, Salem establishes a new model of smart co-creation and collaboration, in which unconventional actors such as, social media users from disadvantaged backgrounds or companies that did not previously have CSR agendas, start contributing to social change. Regardless of individual financial means, Salem is demonstrating how everyone can partake in social change through the navigation of the new attention economy. He is creating a new manifesto that declares that Everyone is in fact a Changemaker. Although his approach involves several pillars, Salem’s first social innovation is “Clickfunding”; an invention that allows social media users to contribute to positive change within their local communities at no cost, simply through the click of a mouse or the tap of a screen. He invented, successfully implemented and coined the term. By revolutionizing the world of web-philanthropy, Salem is hacking the conventional use of social media to transform it into concrete social, environmental and developmental impact. Many believe that social media jumpstarted the Arab Spring in 2011. Deemed the “Facebook” or “Twitter” revolution, the movement was one of youth using social media sites such as Facebook, Twitter, and YouTube to mobilize themselves to topple the then-current political regime. This instigated 27-year-old Salem Massalha to harness the immense energy of more than 35 million Egyptian social media users through the power of “Clickfunding”, the first campaign of which was launched in 2014. While this solution is a manifestation of the impeccable marriage of the worlds of social change and digital marketing, his future plans include the merging of not only diverse sectors, but also actors that may have never freely joined forces otherwise. The World Giving Index- the only comparative study of generosity across 140 countries- is based on three measures: have you given money to a good cause; have you helped a stranger; or have you volunteered your time over the past month. Conventional donation models have always reserved “giving back” to those, who have the luxury of time and/or money. Out of 140 countries, Egypt is ranked 112 in the World Giving Index with 24% of people adopting one of the aforementioned approaches to donate and create positive change in their communities. This, however, indicates that the largest portion, of the population that lacks the financial capacity to donate is marginalized, and automatically excluded from creating positive change. This “inability to donate” has been exacerbated by a 30% national poverty rate in 2017 expected to increase with a rising core inflation rate, currently at 35%. Political upheaval, a declining tourism industry, the flotation of the Egyptian Pound and the gradual removal of subsidies are all factors that have drastically diminished people’s financial capacity inevitably resulting in their ability, or lack thereof, to contribute to social causes. Furthermore, most “giving” is undertaken on an ad hoc and individual basis by affluent individuals and local entities. Consequently, nothing is done to mitigate the duplication of efforts on-ground, there is neither transparency nor accountability between donor and recipient, and it is difficult to measure impact, since it’s almost impossible to trace the trajectory of money given. This approach leaves leeway to move beyond the conventional model of charitable giving towards a more tactical model that creates lasting, sustainable social change. Not only are funding streams unregulated, but it is becoming increasingly difficult for NGOs to raise funds through traditional channels ever since the government passed a new NGO law that strictly controls NGOs, including those in the realm of social and development work. It bans domestic and foreign groups from engaging in rights work or anything that can be perceived to harm national security, public order, public morals or public health. Since the government has long accused human rights groups of using foreign funds to plant chaos, lawmakers find the measure necessary to protect national security. Although “crowdfunding”, which allows anyone to financially contribute to a positive initiative through an online platform, has introduced a new way to mobilize funds for social causes, the model has failed to create significant impact in the Egyptian economy due to (i) the lack of credit card ownership and (ii) legal issues surrounding the framework. Since only 7% of the population owns a credit card, it is difficult for most people, even those who have the means, to donate online. Yet, the more dominating issue questions the model’s legality. After 22 people were arrested on suspicion of EGP50 million in crowdfunding fraud in 2017, the Egypt public funds police department conducted a three-month crackdown in 5 governorates to tackle fraud crimes related to crowdfunding, leading to the collapse of most Egyptian crowdfunding attempts. Besides crowdfunding, the only other campaigns attempting to create social impact are awareness campaigns, which have 2 problems; (i) their impact is not easily quantified and (ii) they are not professionally executed, since they have always been created by NGOs, not experts. Furthermore, the only department responsible for developmental initiatives in large enterprises is its corporate social responsibility (CSR) department. No other department works with local communities and makes socially responsible investments. Lastly, our society is being hijacked by technology. There are more than 35 million social media users in Egypt, and internet penetration rates will exceed 50% of the total population (95 million) by the end of 2018. Although aimless scrolling and tapping can be detrimental, the heavy use of social media platforms is not an issue in and of itself. What began as a contest to monetize people’s attention is now destroying the sacred pillars of society. Facebook, Twitter, and Instagram have produced amazing products that have greatly benefited the world, but are caught in a zero-sum game for people’s finite attention- indispensable to make more money. They manipulate people with AI-driven newsfeeds, content, and notifications, continually navigating attention to what they dub “fit”, regardless of what is best for people’s well-being. Because it is against their lucrative business models, it is highly unlikely for the aforementioned companies to change. Yet, the rules of the game need to be changed. Companies need to move away from technology that extracts attention and erodes society, towards technology that protects minds and enables society to flourish. The day of Salem’s Master’s midterms at Cairo University, Egypt’s premier public university, coincided with the first days of the Egyptian Revolution- January 28, 2011. Tanks were blocking access to the respectable campus, and the news spread like fire across all social media platforms. Impressed by the power of social media to mobilize masses, Salem wondered how he could harness the incredible energy of Egyptian youth to move beyond the realm of mere connection to that of direct social change. The answer was simple. Through his social innovation lab, “Bassita” launched in 2014, Arabic for “simple”, Salem develops innovative tools to enable new actors to contribute to social change; actors who previously had no major role in bringing about social change. Clickfunding, Salem’s first innovation, has, thus far, integrated 13 million social media users into the fundraising process. By viewing, liking, commenting or sharing elements of a Clickfunding campaign, users generate points that are transformed into funding and implementation by partnering NGOs and sponsors. The more social media users interact with the campaign, the more impact is created on-ground. As opposed to crowdfunding which requires social media users to be financially capable to donate and own credit cards, clickfunding allows any social media user to donate just by engaging with the campaign. The model is an organic evolution of social media, where “previously aimless” clicks have value and are aggregated for concrete impact. Regardless of financial means, anyone can contribute to the cause. This method allows the recipient, the viewer and the sponsor to collaborate and co-create to satisfy communal needs and improve social solidarity. Just by clicking, a web user becomes a web philanthropist, advocating for a form of “Web-user Social Responsibility”. Hitherto, Bassita has been adopting a B2B business model. Their primary target market is positive initiatives looking for funding and visibility in a particular market. These could be NGOs, CSOs or International Organizations looking to positively change the community. The entities are approached by Bassita, which identifies their needs and starts creating a Clickfunding campaign in collaboration with the NGO. The NGO pays Bassita for its services- namely content creation and production of videos, infographics, and awareness posts. All profits are reinvested to create pro-bono campaigns for small NGOs. Next, Bassita pursues sponsors interested in funding the causes aligned with their respective objectives. These private sector sponsors are Bassita’s secondary target. The sponsor agrees to donate the needed sum by the NGO, if a certain amount of views/likes/shares/comments is reached. Salem’s model proves to the corporate sector that social investment is a marketing tool that will affect their sales in addition to creating an image of social consciousness for sponsors. Furthermore, Salem mediates between NGOs and the corporate sector by getting NGOs to identify their needs in ways perspicuous to the corporate sector. By connecting the online and offline worlds, Salem not only professionally raises awareness on important issues, but is also innovating new ways to raise funds. To operate, Clickfunding relies on another innovative aspect of the social startup “Tech 4 Goods”; a tracking system that monitors all the interactions on a social media campaign (Twitter, Instagram, Facebook, YouTube). All interactions (likes, shares, comments, re-tweets) are transformed into points that go into the progress bar on Bassita’s website. The more the progress bar is filled, the more sponsors pay for impact. If the progress bar does not reach the end goal, the sponsor only pays the financial equivalent of reached points. Preliminarily, the NGO and sponsor agree on the qualitative/quantitative impact to be achieved within a designated time frame, and Bassita does its due diligence through regular field visits to ensure accountability and transparency. In just three years, “Clickfunding” has become one of the most efficient online models to raise funds and awareness for positive initiatives. Though Bassita has created Clickfunding campaigns for major actors such as UNICEF, Misr El Kheir, and the Egyptian Food Bank, it is largely focused on smaller NGOs such as Helm Foundation, Ashoka Fellow’s Safarni, and Darb El Ahmar Art School. To date, Bassita has launched 10 campaigns, raised the awareness of 13 million clickfunders, and reached 36,000 beneficiaries. With a myriad successful campaigns, Bassita raised more than EGP10 million ($500,000) to fund social causes with some campaigns going viral in as little as 12 hours, while enjoying a seven-fold return on investment. Their latest campaign in favor of a more accessible Cairo for persons with disabilities organically reached more than 7 million views, and was shared by many influencers including the Egyptian Minister of Social Solidarity. Further, the Clickfunding campaign created for Safarni, an intercultural children’s workshop founded by Ashoka Fellow Raphaelle Ayach, raised EGP1 million to support social cohesion in an area where migrants and Egyptians are still learning how to live together. Not only did the campaign successfully engage 1 million social media users, but also enabled Safarni to create on-ground workshops targeting 180 children and their parents from both migrant and host communities. In addition to clickfunding, Salem is introducing a strategic approach to philanthropy, as opposed to individual one-off attempts, by mobilizing different actors, industries and stakeholders in the community. Some of the sponsors he has collaborated with are first-time donors such as Wadi Degla Sports Club, the Hilton Hotel and Careem (the Uber of the Middle East). He has also integrated different industries such as the cinema industry, and brought in film producers to create campaigns and famous actors to star in them. In the future, Salem also plans to involve the fashion industry. His new project connects different stakeholders; the fishermen of the Nile River, and the garbage collectors of Greater Cairo, one of the most efficient, albeit informal, communities in the world, to co-create value for stakeholders, the end consumer, and the community. The fishermen extract garbage from the Nile, which is sold to the garbage collectors, who recycle and create bracelets out of it. The bracelets are then purchased by customers who want to give back. The holistic approach adopted helps save the environment by cleaning the Nile and recycling waste, improves the livelihood of fishermen and garbage collectors, and activates citizens who are able to pay, ultimately bringing the triple bottom line concept to life. Furthermore, Salem’s strategy helps NGOs tap into funds formerly reserved for marketing purposes, such as corporates’ digital marketing budgets. Bassita envisions itself creating 20 campaigns annually, raising a targeted total of EGP 80 million ($4 million) for 2021 (with a continued growth each year), half of which is attributed to digital ad spending, as opposed to CSR budgets alone. As of 2018, the overall digital ad spending in Egypt reached $56 million/year, indicating that by 2021 Salem will incur 4% of digital ad money to create on-ground impact. Throughout the whole process, Salem is reclaiming value in the attention economy. Instead of solely clicking on content they find attractive, web users are empowered to take a proactive approach by clicking to impact the world. By giving social media users experiences and content that have real meaning in their lives, Salem is realigning technology with humanity’s best interest. He orchestrates people’s attention in the most empowering way- a phenomenon that has been lacking in a lucrative system intentionally designed to addict us. Thus far, Clickfunding was replicated in two countries- Brazil and Switzerland. Bassita’s next step is to white label and open-source the model to enable any positive initiative to independently operate their own Clickfunding campaigns powered through its website. Although Egypt is the birthplace of “Clickfunding”, Salem intends to transform “Clickfunding” from an Egyptian innovation into an international industry. One thing that has always spurred Salem to action was his constant dissatisfaction with and rejection of the status quo, in addition to his deeply ingrained sense of responsibility towards others. Born and raised in Paris, Salem is the second child of a resilient Palestinian father and Egyptian mother. His father came from a modest Muslim background, and was the first in his family to go to college. His mother, on the other hand, was born into a bourgeois family and raised in Cairo’s upscale Zamalek neighborhood. Further, she was Greek Orthodox, the minority within the Egyptian Christian minority. Although their matrimony broke all social norms, it was a union full of love, which probably taught Salem the first lessons about passion and resilience that accompanied him throughout his journey. In Paris, Salem attended prep school, and learnt a lot from the experience, so he was ready to explore another country; another culture- a decision took Salem to McGill University in Quebec, from which he received his bachelor’s degree in Strategic Management. In Canada, Salem met people who radiated with positive energy, and appreciated the horizontal approach to learning adopted by McGill, where they existed in an equitable, conducive learning environment. Besides his professional journey, Salem loves roaming around the streets of any city he resides in to capture unexpected situations or picture historical and cultural treasures. For instance, one of the photos he took, depicting the inhabitants of Alexandria gathering at night to watch a collapsing building, went viral. Though he may not realize it, but Salem has an ingrained passion for the extraordinary and builds on that in any way possible. This is also evident in his choice of role model; Mahmoud Saïd, a pioneer of modern Arab painting, who produced art that was truly groundbreaking. Saïd is the only Arab artist to date to have three paintings selling for more than $1 million at auction. Whenever he gets the chance, he visits the Mahmoud Saïd Museum featuring 40+ of his paintings in Alexandria, Egypt. It is not one moment that explicitly shaped Salem’s life, but a combination of triggers that always urged him to stand up for society’s underdog. In college, he contributed to the creation of a fashion show supporting people with HIV/AIDS. While visiting Egypt every year, Salem was always struck by child laborers not so much, because they were working, but because he had the luxury not to. In 2007, after graduating from college, Salem insisted on returning to the birthplace of his parents, so he came back to Egypt to work in development. There, he worked for the Siwa Sustainable Initiative, which aims to preserve Siwa’s (an urban oasis in Egypt) wealth of natural assets and its cultural heritage. The principal objective of the Initiative was to bring social and economic advantages through empowering the local community, as well as promoting entrepreneurship while conserving the environmental and cultural stability of the Siwa Oasis and its people. Simultaneously, Salem started volunteering with Egypt’s garbage collectors’ community, where he volunteered 3 times a week to teach English. He wanted to understand the people, the value chain, the community; it was very important for him to understand the dynamics of the communities he helps. This experience instilled in him an unprecedented passion for this community in particular and giving back in general. Ever since 2007, Salem has been a regular visitor, frequenting the neighborhood on a weekly basis. Although he could have worked with the garbage communities, Salem felt his help was not needed there- it is already a highly-efficient closed community- but his urge to change the community in other ways remained. 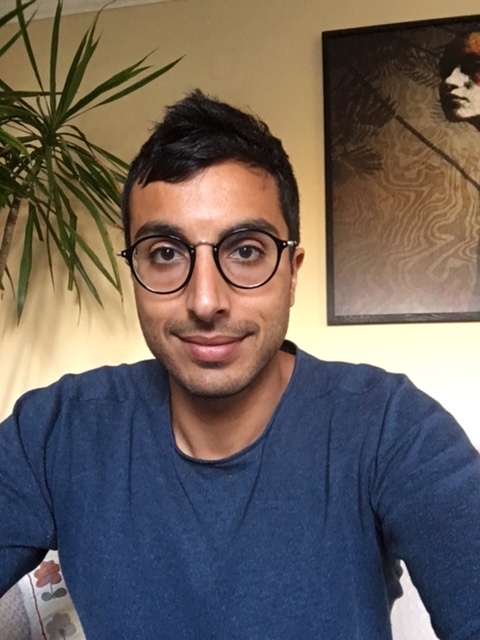 Impressed by the power of social media to mobilize masses during the Arab Spring, Salem wondered how he could harness the incredible energy of Egyptian youth to move beyond the realm of mere connection to that of direct social change. The answer was his social enterprise- Bassita. Plain Simple.